Sturdy binder to safely store all your past issues of the Mecca News. 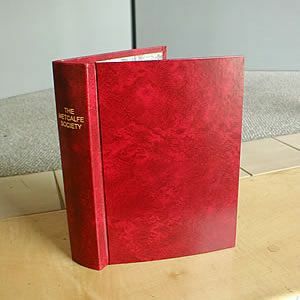 Red with Society name in gold on the spine. Will hold 14-16 issues, depending on page content.